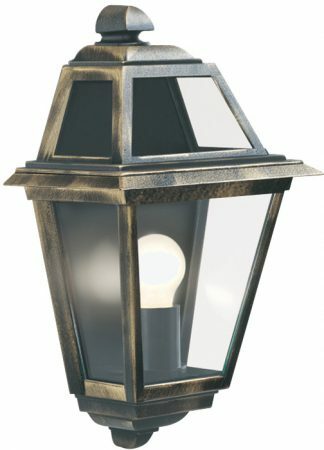 A traditional style, cast aluminium, flush fitting IP44 outdoor half wall lantern, finished in black with gold highlights and clear glass lantern panels. Part of the New Orleans range of IP44 rated outdoor garden lights. Alchromated for extra durability with a 3-year finish guarantee.